Solar Eclipse Jan 15, 2010 at 25Cap01, 12 North Series, Washington, DC; 2:11:18 am est; Moon Hour; Ecl in 3rd house; YOD = Sun/Uranus = Moon/Uranus = Venus/Uranus = Mc = Hygeia Rx = Health. 'We are dealing here with a man who uses his will and positive imagination in facing life's problems. To him comes a pentecostal descent of power. 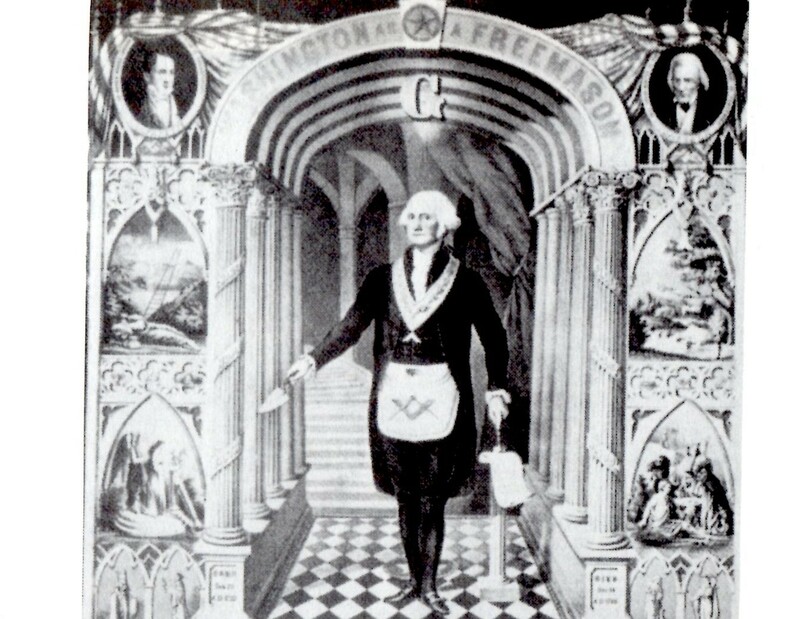 He receives the "mantle of power," the grace (baraka in Sufi philosophy) or the Providential assistance which can make him a true leader in his culture. (This is) a spiritual response, a sign of inner strength and uncommon ENDOWMENT. You will, of course, note 'baraka' and its close similarity to Barack (Obama); it sounds to me as if the president isn't top dog in the power department - unless the Eclipse' energy is used on a spiritual level! And 'overshadowed' reminds me of Sun, Moon, and Venus being overshadowed by Dark Moon W'mat2, a point that's difficult to find details on. I believe it stands for astronomer Walter Matthews, but I can't locate again the website with this info. Perhaps you can sleuth it out and let me know if you find anything. As you see, there are more things happening in the Northern Hemisphere of the chart, thus in private, with only Mars and Saturn in the public sector. Chart-ruler Mars 15Leo17 Rx in 9th house; co-ruler Pluto 3Cap49 conjunct Mercury 5Cap34 Rx in 2nd house of Values, Money, Earning Ability. Mercury and Pluto work well as a pair especially if you're fond of propaganda and persuasive speaking and writing - here on money matters and values (2nd house), and the spirit of opposition (politics.) This is the 'deep thoughts' combo, too, which can be cruel in its perceptions and in speech. Affecting Mercury and Pluto is a transiting midpoint particular to this chart and Eclipse, a midpoint indicating instability and high receptivity: Neptune/ASC. Nep/ASC = Mercury: deceiving oneself about other people's character; exploiting the weaknesses of others; taking the wrong path; malicious scheming; guided by wrong impressions; special perceptions; open to deception. Eclipse's Sabian Symbol (Rudhyar) = '26Cap' = "A Nature Spirit Dancing in the Iridescent Mist of a Waterfall." 'Water...is a magical substance, and modern chemists are rediscovering in their study of its unusual behavior in certain situations what old Alchemists in their own way no doubt understood. ~~~ The consciousness here becomes sensitized to the downward flow of OCCULT ENERGY in its bountiful natural aspect. Keynote: The ability to perceive the hidden and creative spirit of natural phenomena." A Solar Eclipse in Capricorn implicates the sign's connections to law, government, business, and authority. 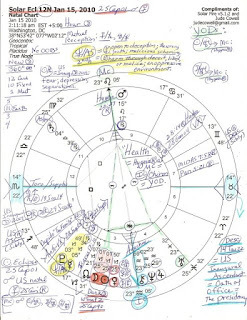 And given the above flavor of the 12N Series blended with the chart's YOD pattern with Mc (Career; Public Status) as the area of manifestation - with asteroid Hygeia Rx there, too - I suspect a public figure may be felled by ill health, or possibly death. 'Rx' indicates to me that it's an ongoing medical condition which may get the best of someone. Plus, Scorpio rising indicates medical or surgical concerns on the rise. Health Care Reform (or Medical Insurance Reform, whatever) is an obvious potential for the 12N Eclipse season of 2010 - and we may look back to its previous manifestation in 1992 and to the Clintons' attempts at reform! Sat/Plu = ASC: sadness and mourning; placed in cumbersome circumstances. A person of science and research (Cap's Saturn) may be described here as well; plus, Chiron (the wounded healer) is at Ic, opposing Hygeia. Ic is the Foundation of the chart and of the Eclipse, as you see; Ic is aka The Drain. 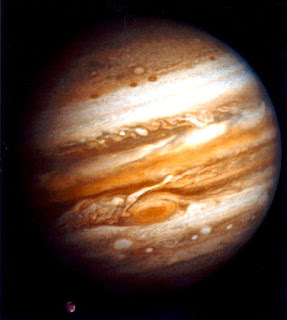 Speculators Jupiter and Neptune are in 4th house of Domestic Scene, with moneybags Jupiter at a crisis-ridden 29th degree (AQ.) How to pay for Health Care Reform? 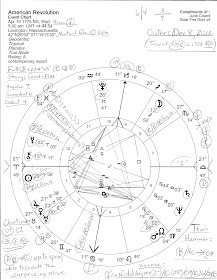 A 4th house disruptive rebel Uranus in contagious Pisces has no idea. But he might wish to interrupt someone's career all the same. The TV industry may be getting into the cosmic act with FlashForward, a new ABC series premiering on Thursday, Sept 24. FlashForward's script involves a prophetic date as part of the storyline: April 29, 2010. You see, almost everyone on the planet loses consciousness and shares a collective 'glimpse of the future'...April 29, 2010, which makes 12N the Pre-Natal Eclipse Series of this imaginary prophetic date. The production values of the program are said to be fabulous, and execs say they're making a commitment to perhaps 3 years' worth or more of episodes. Plus, having Joseph Fiennes in the cast won't hurt a bit, along with Dominic Monaghan and John Cho. And though I don't think any of us need more Hollywood-esque 'end time disaster scenarios' to haunt our dreams, it will be interesting to see if the influence of 12N turns up in FlashForward's futuristic plot, weaving its spell as it digitally broadcasts in subliminal high-def. As they say on TV: stay tuned! You'll find more Eclipse details posted here and here. I understand that everything material comes from the spiritual-there is no division only in our entranced consciousness. I was taught this principle and then now in maturity I see this principle manifesting everywhere. Ah yes, we're spirits having physical experiences, agreed!